Our congratulations goes to Nigel Robson for winning the Club scratch medal which was played on Sunday in testing conditions. Playing off the blue tees and battling the strong winds, Nigel shot an impressive score of 76 . Logan Mair was two shots behind Nigel with 78. The pro shop has taken delivery of the new Range of Sun Mountain golf bags. Three 5 Carry bag - 4 way to divider, Light weight (2.45KG), Leg lock system for trolley use and dual strap system. Two 5 Carry bag - The lightest carry bag at only 2.45lb ! SYNC Trolley Bag - 15 way divider with putter compartment, lightweight (2.9KG) and a base design to lock into micro cart trollies. All come in a variety of colours, so pop in on your next visit to the pro shop and take a look. - Now Summer has arrived come and check out our excellent range of Mens Cotton Shirts!! Great opportunity to have some Aldeburgh logo clothing in your golfing wardrobe. So, Open week is here at last, one of, if not the most anticipated four days on the golfing calendar - certainly on this side of the Pond. The 145th Open at Royal Troon is shaping up to be a classic, with so many players looking capable of mastering this famous links. We see you've been voting on our website for who you think will win the Claret Jug. With the much-fancied Dustin Johnson claiming his first Major at the US Open last month, it led us to ask whether you thought you could picture a winner coming from outside golf's new 'Big Four' - we're talking Jason Day, Johnson, Jordan Spieth and Rory McIlroy. Thanks for registering your vote, the feeling here at Aldeburgh is that another player outside the 'Big Four' will indeed triumph this week. Who could it be? We shall see, of course, but there are plenty of other big names worthy of a mention. The likes of Justin Rose, Henrik Stenson and Branden Grace are just three players to watch out for, then there are up-and-coming stars such as Andy Sullivan and Matt Fitzpatrick who have made frightening progress in recent times. 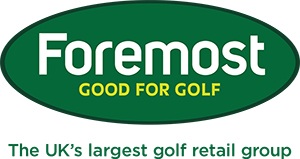 And, let's not forget, a certain Colin Montgomerie will be teeing it up at his home course. How will Monty fair against the young guns? There's so much to look forward to this weekend and we hope you enjoy a spot of golf yourself. If you see some shots being hit that you might like to add to your repertoire on the course please get in touch here and we would be happy to help. If this week's action doesn't inspire you to get out and play, nothing will.